Inside: Net worth gives you a powerful view of your finances. Learn how to calculate yours. Knowing your net worth is eye-opening. It gives you a big-picture view of your financial health. As such, it is a good tool to keep in your arsenal when trying to understand your financial situation. I am going to show you how to calculate your net worth. 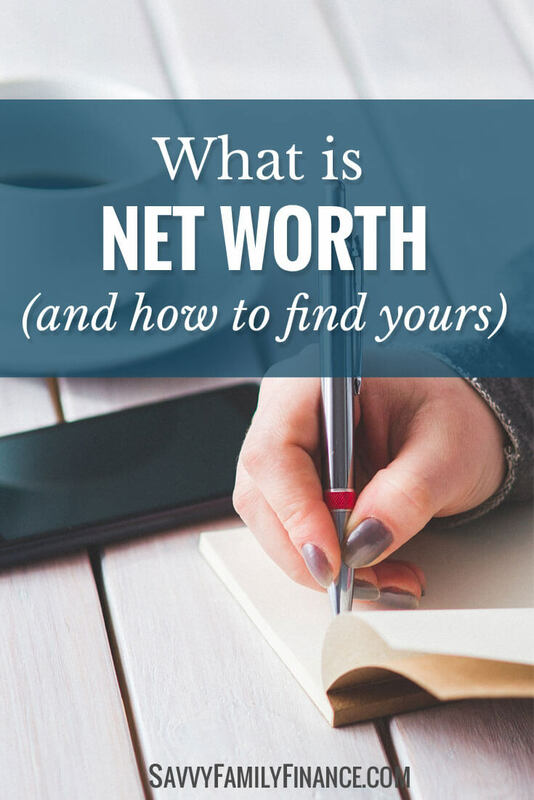 Why is knowing net worth important? Not everyone knows what net worth is. Some people think it is how much you earn in a year. Others think it is how much your stuff is worth. And then there are the people that rely on what they hope they will someday (maybe) inherit when calculating their net worth. Net worth is how much you are financially worth once you take into account all your current assets and debts. Ok, that definition sounds fine. But what does that really mean? Basically, cash or anything that you could sell that has value. the amount you owe your friend for that thing. You know. Just out of college, we had a friend that said he was pretty happy with his net worth. He was looking at how much is car and house were worth. What he didn’t take into account was needing to subtract off the mortgage and car loan. After being told this, his eyes got big as he realized his net worth was very much in negative territory. Having a negative net worth is pretty normal when you are young. When you have a negative net worth, the result is the how much you would still owe after selling everything of value you own. Deciding what to use when calculating net worth is a bit of a personal choice. But some choices are better than others. When you calculate your net worth, first make a list of all your assets and their resale value. Generally, you only want to include assets of higher value. Most people won’t include silverware, books, jewelry, art and other less valuable possessions. Yet, you might make an exception for pieces that have a particularly high appraisal value. If you choose to add in all your books, socks, and chipped dishes, well…I would say that wasn’t the best choice. If you still choose to, at least only value it at rummage sale prices. For vehicles, you want to use current resale value, so check your vehicle’s current value with Kelley Blue Book. Yep. That car you paid $25k for new doesn’t stay worth $25k forever. That value is going to go down. You can use the Kelley Blue Book online site to get an estimate. For real estate, you might want to use comparables that recently sold in the neighborhood or a site such as Zillow. We tend to be conservative when listing our house value and use the amount we paid for the house, even though estimates have the value higher right now. We don’t even bother listing our 21 year old car. Once you’ve listed all the assets and their values, add it all up and write down the total. Label that TOTAL ASSETS. The next step to take when you calculate your net worth is to make a list of all your debts. If you are a renter, you normally would not include rent as a liability. It is something that, hopefully, you are paying in full each month. Add up all the debts, write down the total and label it TOTAL LIABILITIES. Finally, do a little subtraction. Subtract your liability total from total assets to get your net worth. Net worth is all in the math. Reducing or eliminating your debts helps raise your net worth. Earning more money, getting positive returns on your investments all raise your net worth. But spending too much, losing income and paying interest on debts all pull the number down. You want the positives to outweigh the negatives. If you are still paying PMI on your mortgage, eliminating that payment can help increase your net worth. You will be paying less on your housing payment each month. Budgeting so you are saving more each month also helps increase your net worth. Many people have never done the calculation. Those that do sometimes do it only once a year. We tend to look at it on a monthly basis when taking care of finances in our finance app which has a net worth chart built in. Ideally, your net worth will go up every month. But if you take out a loan, like we did with a HELOC to pay for some remodeling work, the net worth can take a dip. Seeing that dip is very motivating as I want to get our net worth back to where it was before the loan. If you prefer not to do calculations on paper or in a spreadsheet each month, you can use an application. One app you can try is Moneydance which you can use to track spending, investments and net worth. There is also a free app called Personal Capital that you can use to automatically track your net worth and spending. Knowing my net worth is important to me because it reminds me that a good financial decision will ultimately increase my net worth. Bad choices will decrease my net worth. Any bad choices will make achieving or sustaining financial independence that much harder. Net worth is a good indicator of financial stability. If your net worth is regularly increasing, that is a good sign, even if progress is slow. Knowing your net worth is also a powerful motivator to get out of debt and earn more. Another reason? By tracking your net worth, you will also know if you can retire early and say good-bye to the 9-5. Have you tried to calculated your net worth? What does your net worth say about your financial health?